Hey Friends! Did you happen to notice the new colors in the shop? 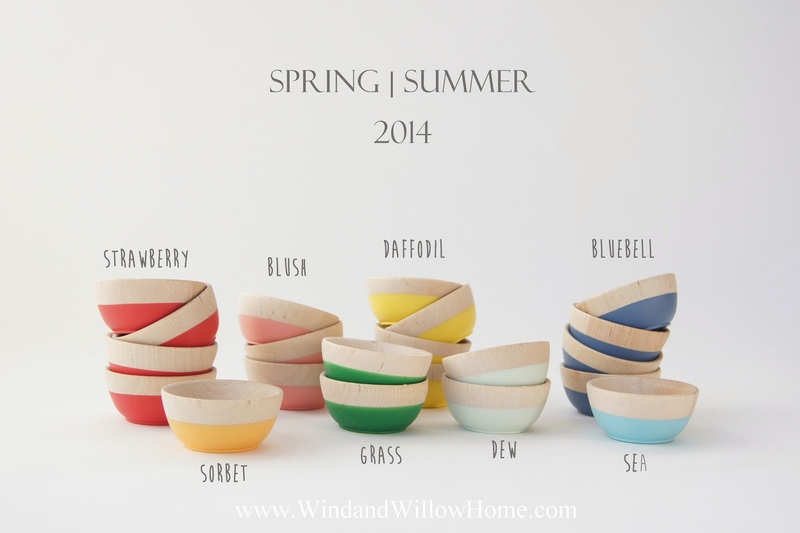 I am completely thrilled to introduce my new Spring | Summer 2014 line of colors. They are bright and optimistic, fresh and full of life. The inspiration came in daydreams of warmer weather, longer days and everything fresh and alive. Over the next few weeks I will spotlight each of the 8 colors and some images that represent these colors, in my line and around the studio. So, without further adieu, welcome, Strawberry, Blush, Sorbet, Daffodil, Grass, Dew, Sea and Bluebell. You can see more of the SS14 line in our first ever lookbook (click the lookbook image top right column). It's 17 pages of fresh, fun Spring inspiration. Also, a special thanks to all who helped me find the perfect name for the pink. I decided to go with Blush. I think it is lovely!